(Oct. 5, 1944) -- Pvt. 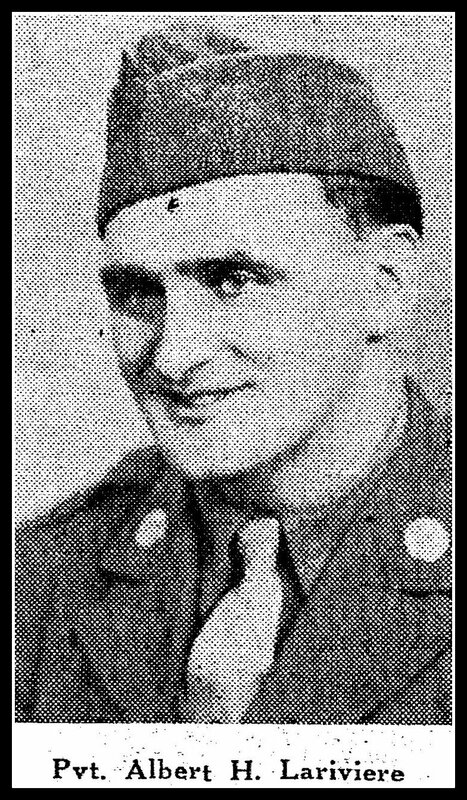 Albert H. Lariviere (Lariviero), 30, was killed in Action on June 6, D-Day. He was in the first wave to hit the beaches of Normandy. Lariviere's unit, the 112th Engineer Combat Battalion, objective on D-Day was to create gaps for U.S. ships by destroying obstacles, included those rigged with explosives, on the approach to the beaches. His parents live on 92 Tappan Avenue. His wife and daughter live in Garfield. He was inducted into the service in May 1943, and went overseas last September. He served with the Army Corps of Engineers. He entered the service from New Jersey, and was killed in action on June 6, 1944. 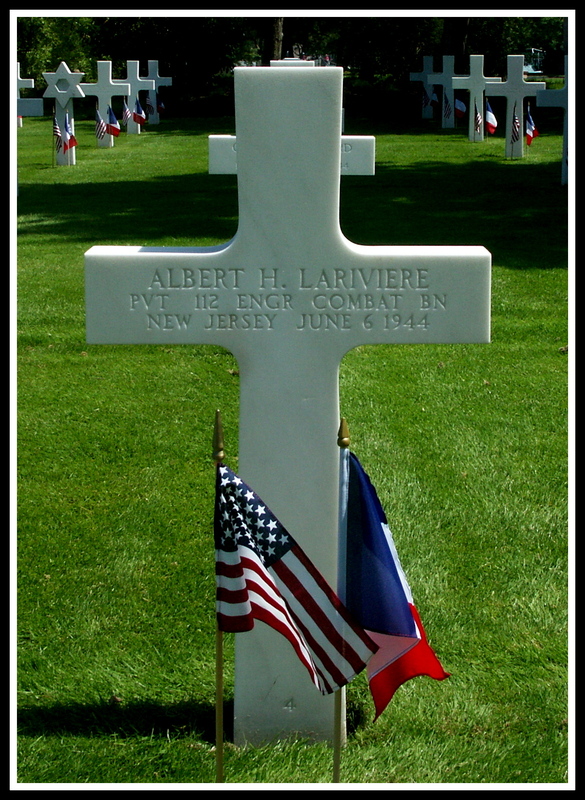 Lariviere is buried at Plot H, Row 18, Grave 4, Normandy American Cemetery, St. Laurent-sur-Mer, France.